The Electric Vehicle Association of the Philippines has expressed optimism that the Philippine electric vehicle industry stands to gain from the recent rise in Japanese investments in the country. This was disclosed by EVAP President Rommel Juan during their planning session for the upcoming Philippine Electric Vehicle Summit set on April 14 to 16, 2016 at the Meralco Multi-purpose Hall. According to the Japan External Trade Organization or Jetro, the Philippines has overtaken Thailand and Vietnam as the top investment destination in Asia among Japanese companies diversifying beyond China. “With China's recent economic slowdown, the Philippines is now on top of the list of Asean countries for Japanese investments. Accumulated Investment from Japan to the Philippines to date has already reached Php 460.0 Billion”, according to Jetro Executive Vice President Tatsuhiro Shindo. 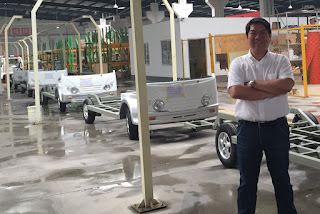 Juan reveals that so far, two Japanese EV Companies have already set up shop in the country. “One is Prozza Hirose with manufacturing facilities set up in Cebu and the other is Bemac which has set up plant in Carmona, Cavite. 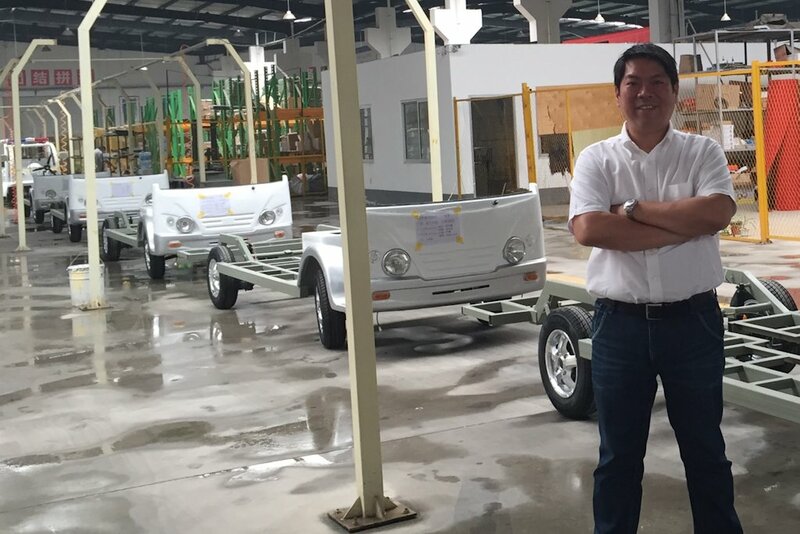 In fact, Bemac has recently won the bid to supply an initial 3,000 electric tricycles to various LGUs in the country in a Tricycle Replacement Program of the Department of Energy partially funded by the Asian Development Bank. We believe that there will be more Japanese investors who will come in to take advantage of the huge potential of the EV industry in the Philippines”. At the moment, EVAP is focusing on replacing the old dilapidated modes of public transport in the Philippines such as the smoke-belching regular tricycles and jeepneys. According to the records of the Land Transportation Office, as of last count, there are about 1.2 million tricycles and 370,000 Jeepneys that may be replaced with eco-friendly, non-polluting EVs. “After realizing this critical mass, we hope to develop the Philippines as the EV manufacturing hub of Asia which will supply the region with quality electric vehicles. It helps that the local population is growing. The Philippines enjoys a huge population of around 100 million people with a 1% growth rate per year”. “This is going to work well two ways for us. Not only will the market continue to grow but there is also going to be a steady supply of skilled workforce. These factors promise to be an advantage for the EV investors in the country, specially the Japanese. We therefore invite more international EV players to look at the Philippine EV Industry by visiting or even better, participating in our upcoming Philippine EV Summit by showcasing their products and services. We hope that in the process, business partnerships in the form of either joint ventures or technical licensing agreements will be forged with our local EV players”, Juan concludes. What Car is Fit for Ms. Universe, Pia Wurtzbach?